International Coffee Day is tomorrow (9/29), and actually spans the entire weekend! 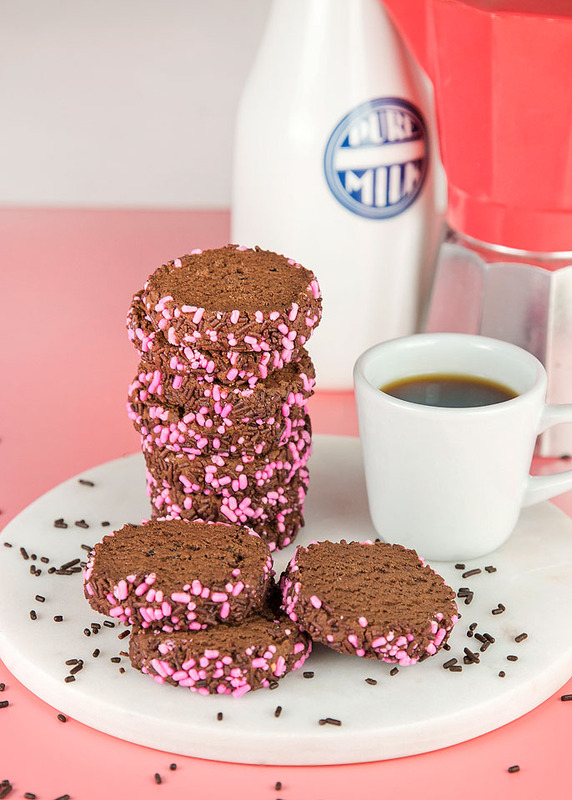 To celebrate, I have made some chocolate espresso cookies that are perfect for coffee dipping. 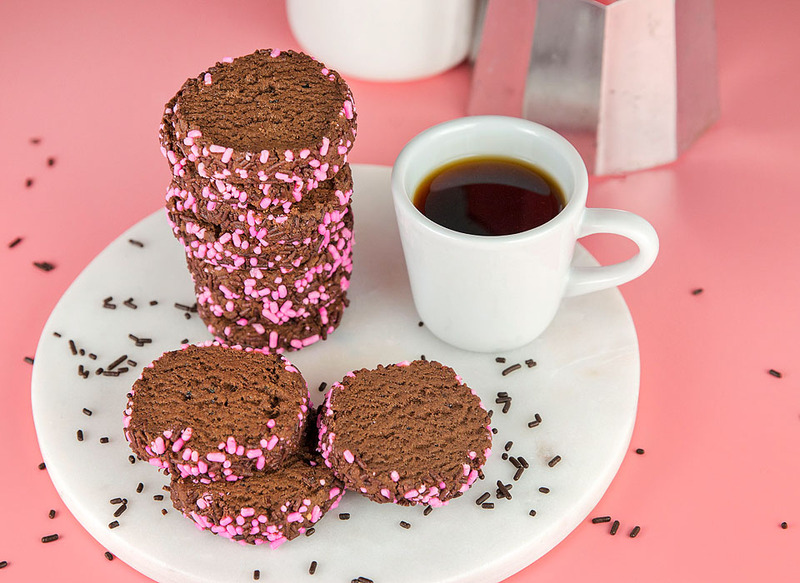 Because there is coffee in them, doesn’t that mean we can have them for breakfast? That’s what I’ve been telling myself. Though, they would also make a great afternoon pick me up snack. I am a bit of a coffee addict and I require it to get me through the day. My favorite drink is an Americano with cream and sugar free vanilla. I also know that Carrie likes a half sweet mocha in a venti cup with extra whip!!! Yummy, right?! What is your favorite way to enjoy coffee? 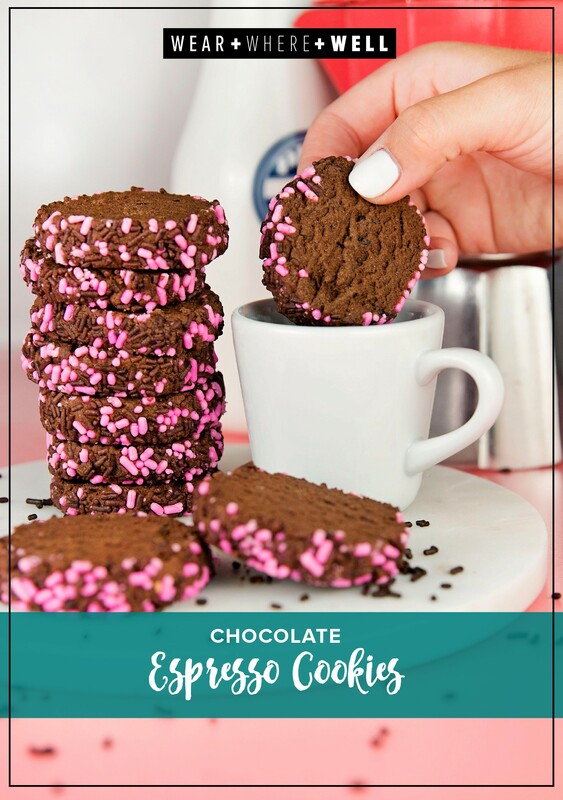 These chocolate espresso cookies are super tasty and very easy to make. 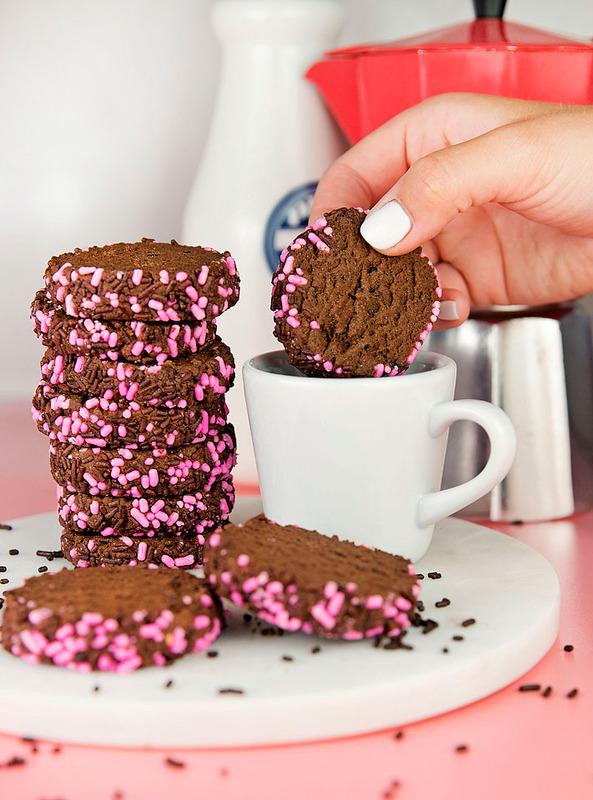 They are sliced cookies and basically foolproof. Any color of sprinkles can be used on the outside or even chopped nuts if you prefer that. 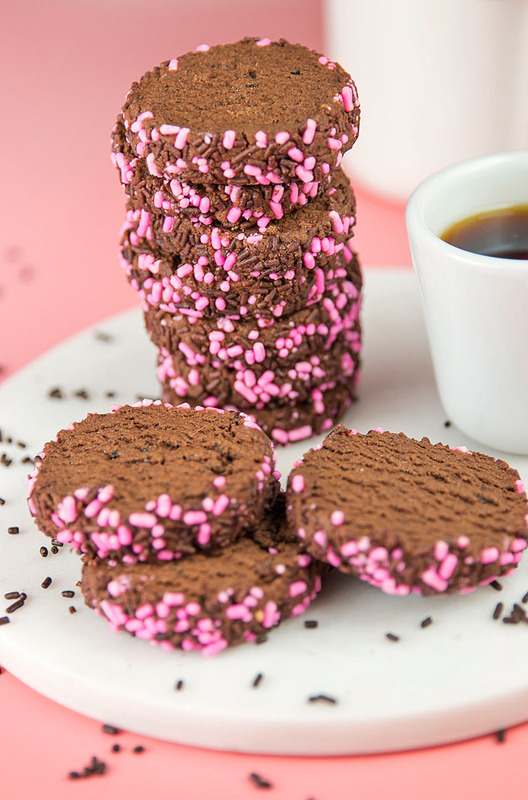 Whatever way you make them, I can guarantee you that they are fabulous dipped in coffee! And you won’t be able to eat just one. 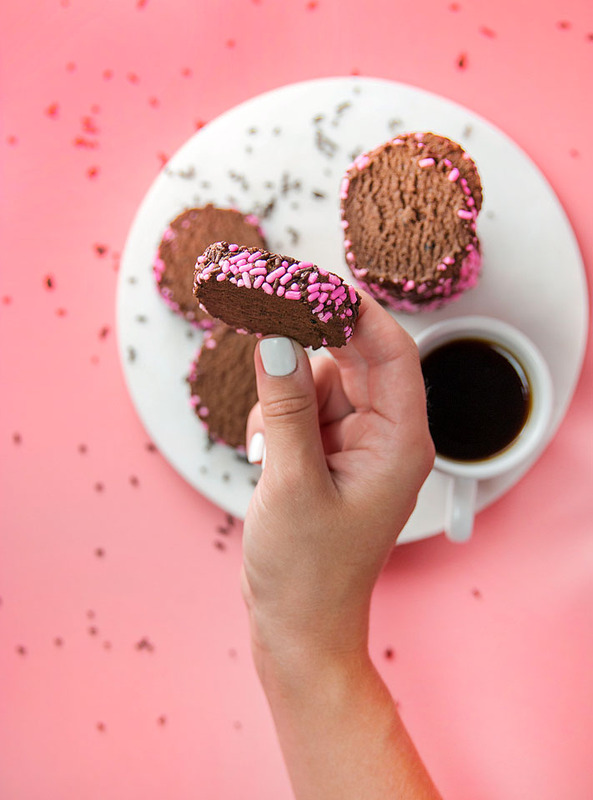 Like I said, these would make the perfect afternoon (or any time) snack! If you make them, be sure to let us know. We hope you’re having a great week and we’ll see you back here in the morning.